Finding success in content marketing takes more effort, more insight and more planning than it ever has. Making sure your content reaches the right people is half the battle, but first, you have to tackle the issue of discovering who your audience really is. When I first entered the content marketing world half a decade ago, everyone was spouting about keywords and SEO. All that mattered in those days was having content on your site. The more you had, and the more keyword-rich it was, the better your results would be – the content of your content was an afterthought. Now, businesses, consumers and marketers alike are clamoring not just to have content but for it to be of the highest possible quality. The industry has shifted, and along with the desire to go deeper and offer more value has come the need to target it toward the right readers. 1. Know who your readers are & produce the content they want. With more than 27 million pieces of content posted each day, the need to stand out from the pack is only growing more urgent. Producing blog content that is designed with your target audience in mind will give you a better shot at cutting through the noise and catching their eye. You don’t just want to attract site visitors, you want to attract those that will be most likely to turn into customers. 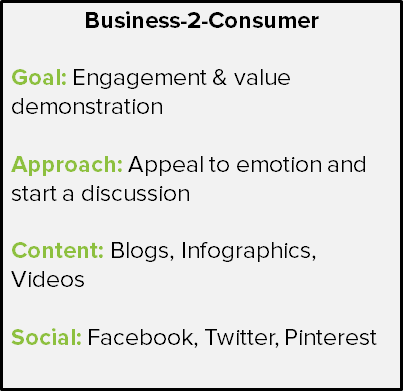 To do this, you need to understand your audience and then take that knowledge and develop buyer personas. These can be used to help craft your content so it catches the eye of the right people who are most likely to continue down the funnel and turn into customers. Considering that when buyer personas are included in a content strategy, the content becomes 2-5 times more effective, it’s time to explore this path. The way you go about your content strategy first depends on what your company does. Someone seeking a business partner wants to trust that company to know the industry inside and out. A consumer who wants to make a purchase is more interested in the experience and the product or service they’re buying. 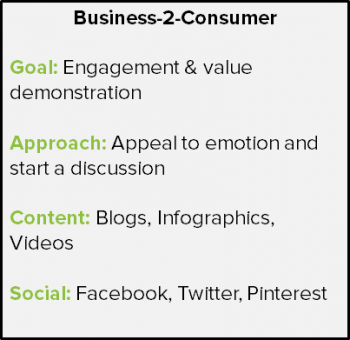 What if you sell to both B2B and B2C? This is where buyer personas will play an especially important role, helping to guide your strategy in two different directions to ensure you are providing content that will appeal to both groups. 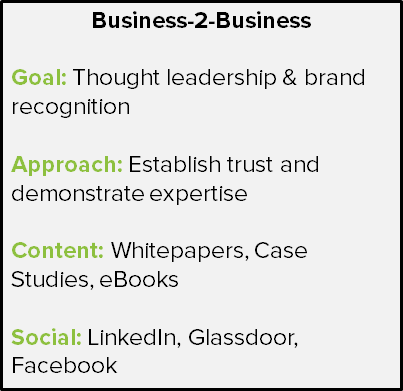 You may even find that B2B and B2C become the two umbrella categories under which you have a handful of even more specific personas. 2. Don’t limit your strategy to one persona. Dedicating your content strategy to one well-defined persona might sound nice on paper. You could really dig in deep since all your efforts would be concentrated in one area, with one buyer in mind. However, in most cases, you will find different segments of potential buyers who cannot be grouped together in one neat, convenient package. Don’t forget that your audience is made up of many people, who may share some characteristics with one another but shouldn’t be pigeon-holed. For the sake of turning site visitors into customers, segmenting the audience by where they are in the purchasing journey may be the most logical, but you sometimes need to go deeper. The only way to know the best approach to take is to learn more about your audience through various channels. In doing so, it will become clearer whether you need to appeal to multiple segments to reach the full audience base. One of our clients found success by writing for a broad range of customers all in one blog. But even if your company is so niche that you only have one type of buyer, you’re still going to need to consider where that buyer is in the sales journey. A reader conducting preliminary research will be drawn to different content than the one who is getting ready to make a purchase. Providing content that is useful along every step of the process creates a clear path from discovery to purchasing, giving the reader everything they need all in one place. 3. Revisit, revise & refresh your personas. Even after you’ve created your buyer personas and begun to include them in your strategy, the work is not done. Personas are living tools, in a way. They are not static and should be redesigned from time to time to ensure they reflect an accurate depiction of your target audience. 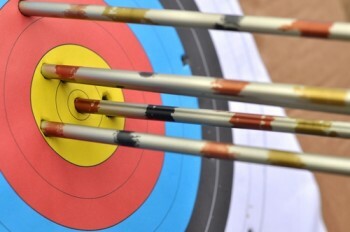 Any time something in your business shifts, there is a chance that the target buyer has changed as well. Introducing a new product or service, increasing or lowering prices, company growth, improved (or tarnished) brand reputation and more can all contribute to the development of a new audience. Consider Volkswagen’s recent emissions scandal – after the truth came out, the car company took a pretty big beating in the media, which changed the way many consumers viewed them. This could have led to a dip in loyalty, a breach of trust between business and customer and a damaged brand image. To rebuild, VW will need to find a new angle that will help repair the damage done. Time magazine reported that the automaker may buy back some of the cars that can’t otherwise be repaired – a small step toward setting things right. While not every shift is going to be as dramatic or negative, they will still happen and a good benchmark can be to revisit your personas at least twice a year. A Cintell study found that among companies using personas, those that exceeded their revenue and lead generation goals in 2015 were 7.4 times more likely to have updated their personas within the last six months of the year. Even if your business has not seen any major updates, the industry itself may have changed, making it worthwhile to schedule set times to check in on your personas.